Soyka Restaurant opened its doors to the now-called MIMO community in 1999. Before this large warehouse building transformed into the avant garde restaurant it is today, it housed Mark Soykas vintage car collection. After time, living in the area with his family, Mark saw this Biscayne corner as a wonderful place for a family restaurant. Since its doors opened, Soyka has been a fine, family restaurant, with a strong business lunch, and quiet, intimate dinners, except for the weekends. Every Friday and Saturday evenings, enjoy live jazz in this New York style loft atmosphere with Classic American Cuisine, and of course children friendly. 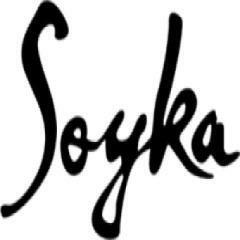 Open day and night, Soyka welcomes our neighbors, travelers, and solo goers to visit us and experience a history of Miami with great food, great wine, delicious drinks, and good people.